The protection and weatherproofing of modern building and construction has become, over recent years, an increasing concern not just for architects, contractors and construction material suppliers, but also for the actual users of a building. The rapid technological advance in construction materials, and the increasingly specialized nature of modern construction, creates the need for an equally specialized and modern approach to the inherent problems of protection and weatherproofing. The traditional problems of roofing and waterproofing have accordingly acquired a more complex nature than ever before. Today’s problems include the correct choice of compatible materials; requiring more precise application methods as well as thorough knowledge of new processes and advanced systems. Design criteria must take into consideration the more specialized uses of today’s buildings and the requirements of sophisticated expression of modern architecture and system building. Whilst strict adherence to standards, advisory and regulatory codes, trade and professional bodies accepted methods, normally leads to acceptable performance by the specialist trades, most codes and standards find it difficult to keep up to date and cope with the constant rapid developments in the industry. 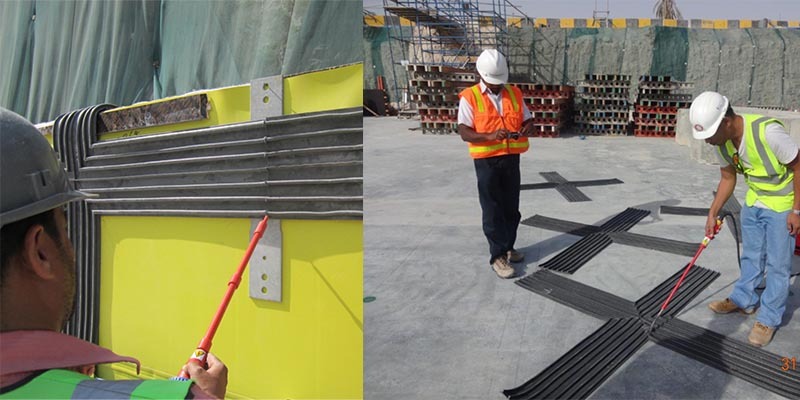 This has created increased responsibilities for the specialist contractor and definite requirement for a change of attitude towards construction protection, if optimum use of this available technology is to be realized. That goes well beyond what is normally offered by the general or main contractor. 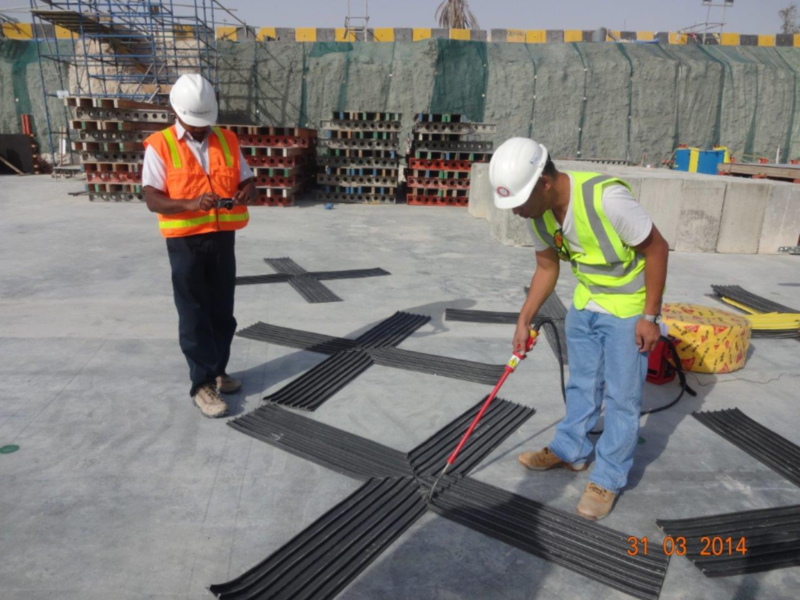 BMC Qatar Specialized Waterproofing Engineering Service can and does offer this service as part of the total roofing and waterproofing package for our BMC clients.Our service covers all technical aspects of construction weatherproofing such as design review, site inspection and condition assessment, QA/QC Inspection for areas like foundation protection and basement waterproofing, jointing, insulation, roofing and all related works. 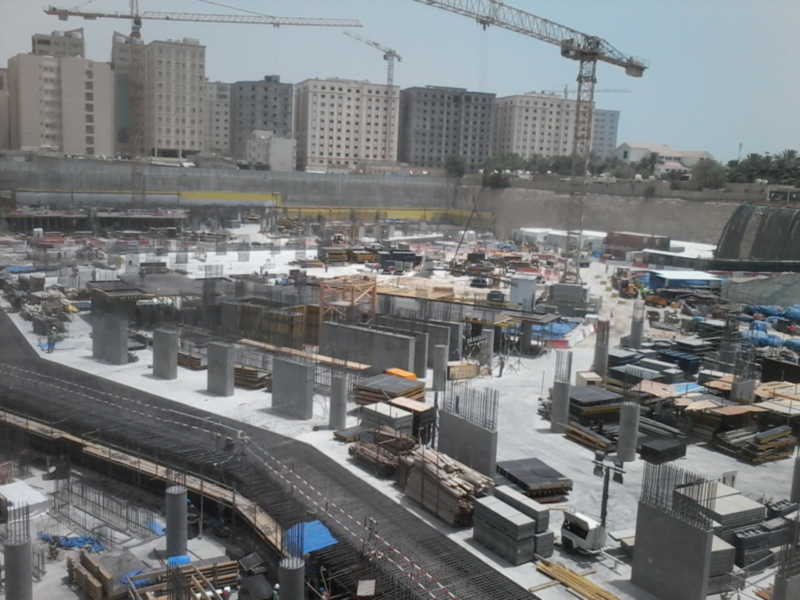 From the pre-design to post contract maintenance, BMC Qatar Specialized Waterproofing Engineering Service prides itself on its professional team of architects, civil engineers, administrators and skilled team members, drawn from international business that can be harnessed to your project with strict adherence to the highest technical and professional standards. Finally, and following the above mentioned, we hereby inform you that we will be honored to cooperate with you and ready for your projects and that we will always remain at your entire disposal for any presentation or assistance you may require. 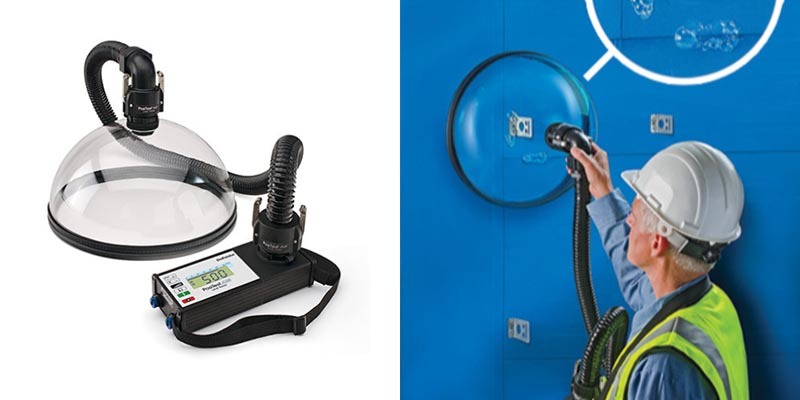 The portable, hand-operated PosiTest AIR Leak Tester tests the air barrier integrity of single, two-ply and liquid membrane systems, including air barriers, roofing systems, waterproofing and ground liners by locating leaks. 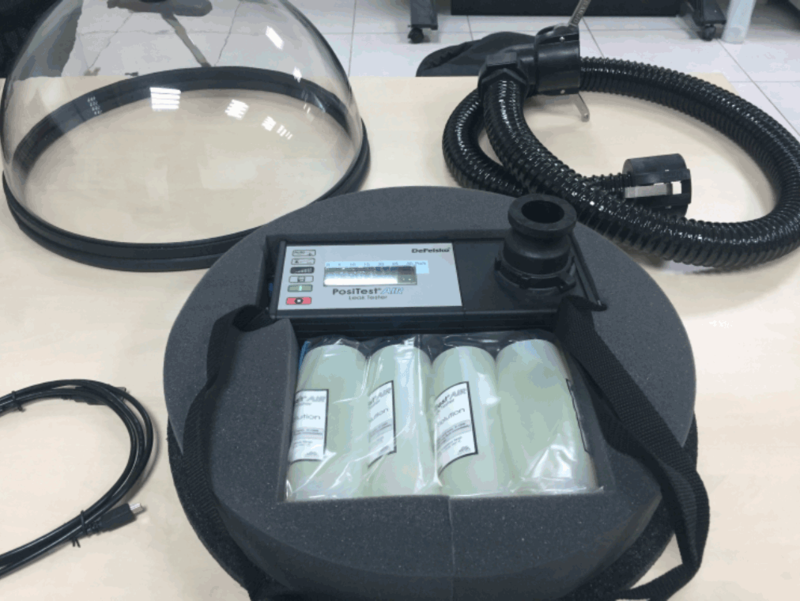 In accordance with ASTM E 1186, the PosiTest AIR will indicate whether leaks exist in the test area. It is a simple pass/fail test. Every PosiTest AIR comes complete with (4) bottles of Test Solution. The Test Solution is applied to the test area prior to initialization of the test. The Test Solution has been specially formulated not to have any adverse effects on waterproofing, roofing, air barrier membranes or the PosiTest AIR unit. Do not use on spun polyolefin building wrap. The earth lead from the Pin Hole Detector (PHD) unit is connected to a convenient earth point on the structure. A high voltage (calculated against the membrane thickness) is applied (using an electrode) to the dry surface of the membrane. Where there are no faults present the membrane acts as an insulator, stopping the flow of current out of the PHD unit. When the electrode passes over a fault or hole, the high voltage jumps the gap between the electrode and the water or conductive layer under the membrane, causing a current to flow. The audible and visual alarm on the PHD will alert the operator who can mark up the points in need of repair. 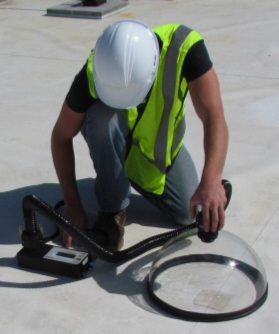 A suitable point on the structure should be identified as an earth connection for the earth lead of the Pinhole Detector. Following the instructions in the operating manual of the PHD unit, the output voltage should be set according to the calculation made using the formula shown above. The Earth lead and test probe handle should be connected to the PHD whilst the unit is turned OFF. With the PHD still turned OFF, extension rods should be connected to the test probe handle. Using the shoe attachment, a suitable electrode should be attached to the opposite end of the extension rods. Any electrode used must be in good condition as a damaged one will not make full contact and faults could be missed. The electrode should be passed slowly over the membrane surface at a maximum rate of 100mm per second, paying particular attention to edges, holes and irregularities in the coating. The test voltage may need to be reduced to test the edges as the coating may be thin. When a fault is identified by the detector, the electrode should be moved sideways in order to identify the precise location of the problem. All weatherproofed areas in a structure require periodic inspection and maintenance in order to perform as designed and to provide a long and effective service life particularly for accessible areas such as roofs. Periodic inspection and maintenance is also typically required by roofing system manufacturers to keep roofing warranties in full force and effect. Although all building owners should establish a periodic roof inspection program, inspection and maintenance of any roof should be undertaken only by qualified persons who are familiar with safe roofing practices, including all applicable occupational, health and safety regulations relating to the roofing and construction industries. 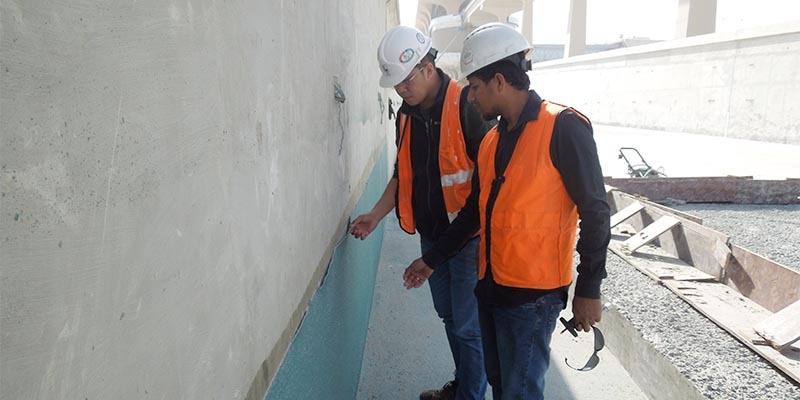 Because modern waterproofing systems contain a wide variety of components and installation techniques, all site inspections should be conducted by a qualified professional. Typically two inspections should be conducted each year, one in the spring and one in the late fall. 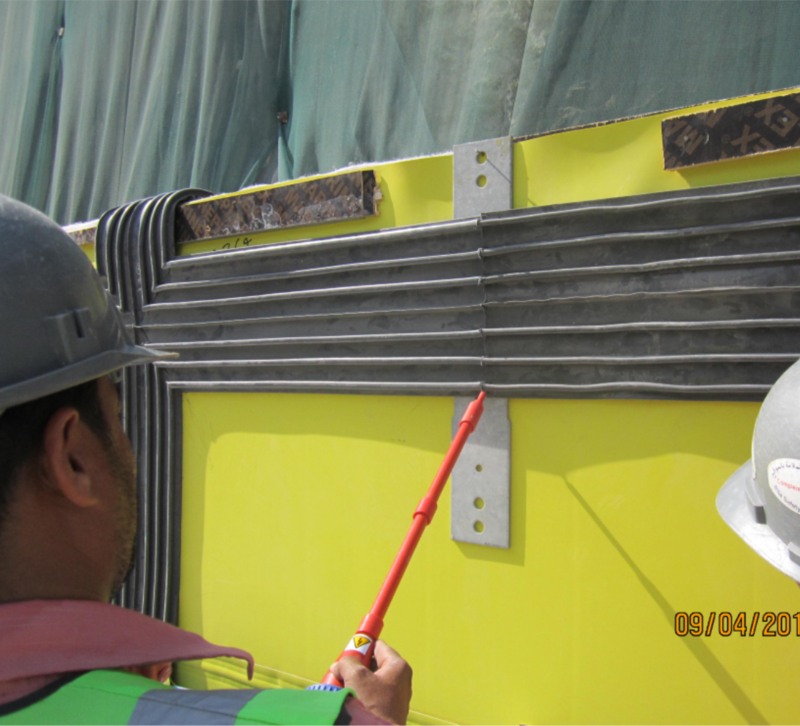 System evaluations to determine repair and replacement needs. 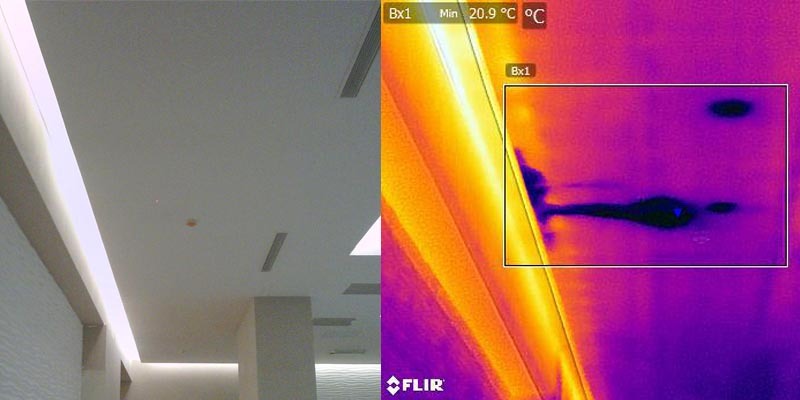 Leak / moisture intrusion investigations. Moisture surveys (invasive and non-invasive). Scope is to generate documents that combine a combination of strong and knowledgeable technical writing, with detailed and concise graphics to clearly illustrate the point of a report. The intent: thoroughly and accurately documented conditions so that the problem(s) can be identified and properly addressed based on criteria identified during the assessment. 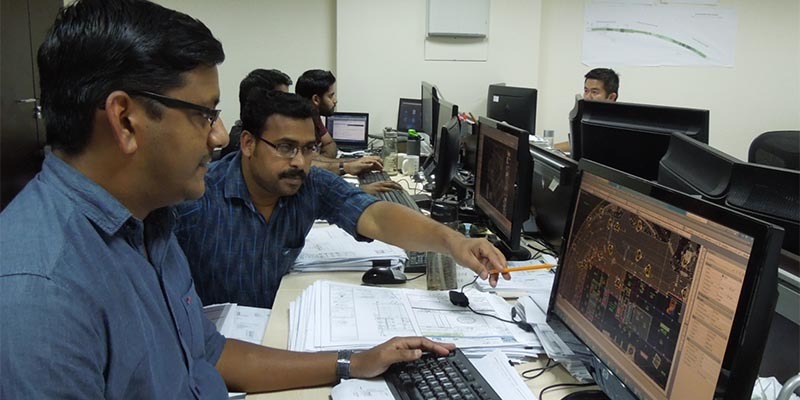 Quality assurance and quality control is an important aspect in today's construction market; it is equally valuable to make informed and intelligent decisions during the design process in order to achieve long-term success. Confirmation and documentation of system components and materials. 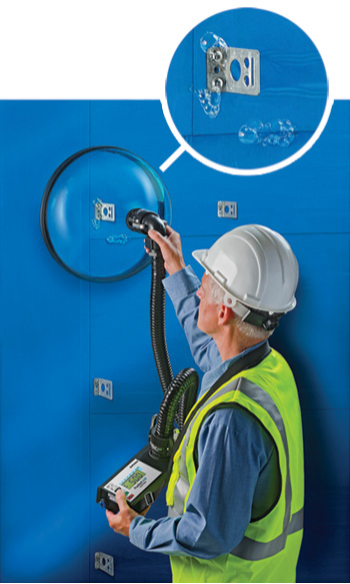 Documenting acceptable conditions for system installation. Documenting and recording installation techniques and progress. Documenting potential installation and detailing problems, and making recommendations for improvement, if required. Confirming that installation is in accordance with applicable installation instructions. Confirming final acceptance (and certification, when required) of the installation. It is very important to document construction activities during all phases of a particular project. detailed Field Reports are to be prepared. 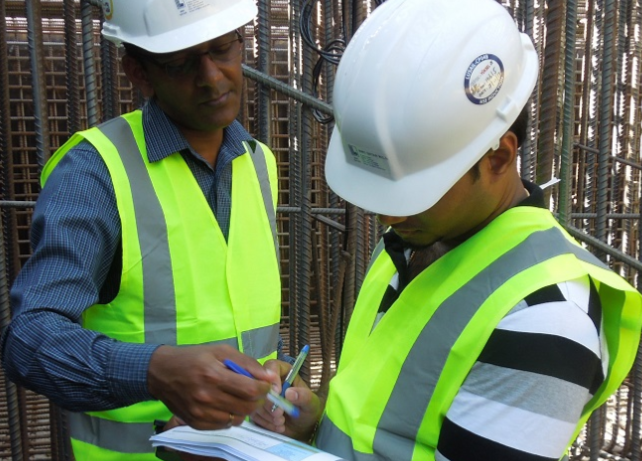 The frequency of QA/QC inspections can vary depending on an individual project. The company should provide both full-time and part-time inspection services. Full-time inspection services include site visits and observations of construction progress on a daily basis when construction is underway. 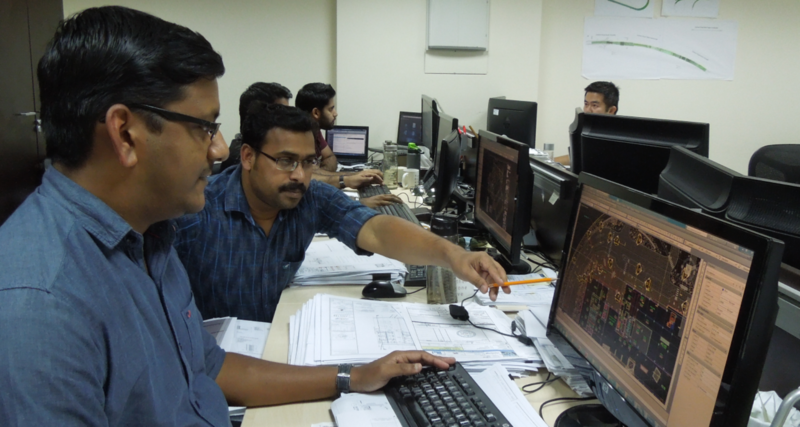 Detailed Field Reports are to be generated and issued on a daily basis to appropriate parties. Part-time inspection services are generally established by the complexities and demands of a particular project. 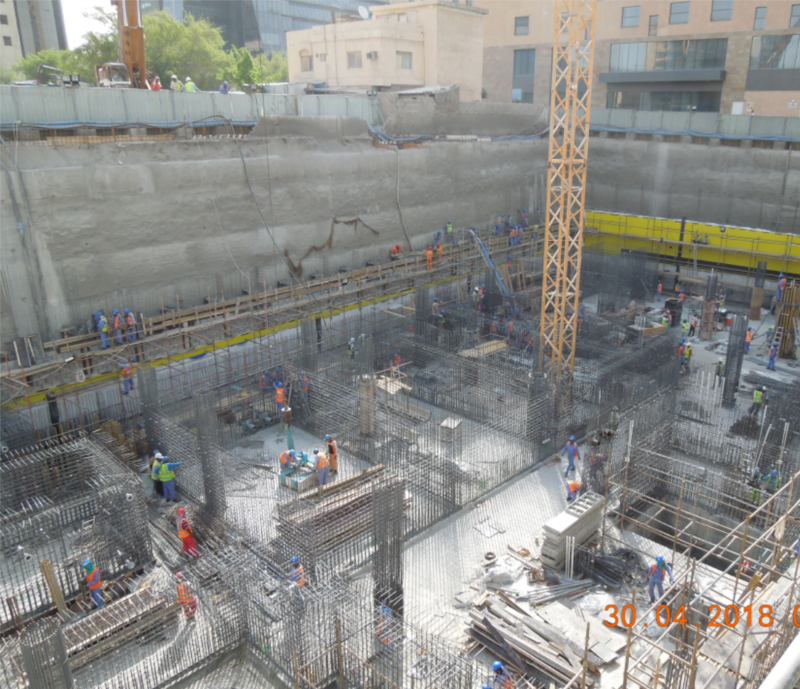 It is common to provide, as a minimum, once-per-week site visits for most construction projects. Roof maintenance and repair can consume large proportions of a building owner's overall maintenance budget. Roofs that are not managed and maintained properly often fail prematurely, with failures occurring at the most critical of times. Roof leaks lead to long-term building damage, immediate damage to building equipment and contents, and can disrupt normal business operations. Problems like these can be very costly. Review of owner-provided documentation, if available. Confirmation of roof dimension and penetration locations. Review of maintenance and repair history. 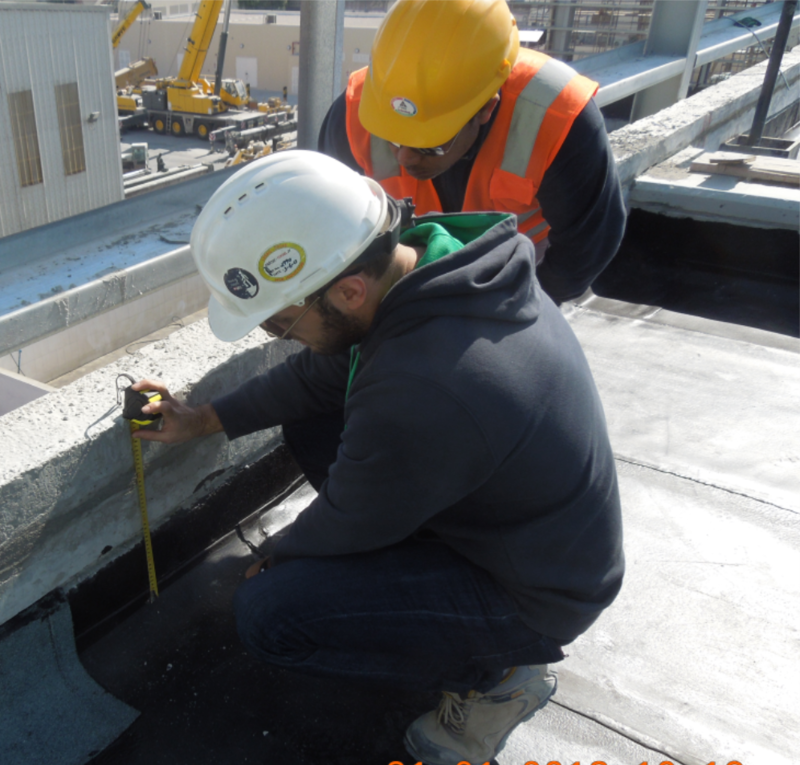 Core testing where required, to determine the type and condition of existing roof membrane, insulation, vapor barrier and other membrane components. Identify building structure and deck types. Identify drainage type, slope, and other related conditions. Identify flashing and counter flashing types and conditions. Identify roof age and estimated remaining life of roof system and components. Establish key design criteria for each roof area. 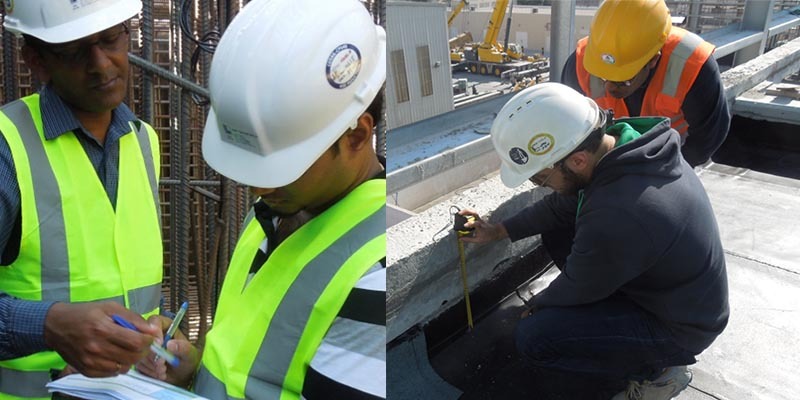 Once the roof system is evaluated in the field, the information is properly documented and recorded in both hard and soft copies. New buildings are constantly being designed and construct- ed. 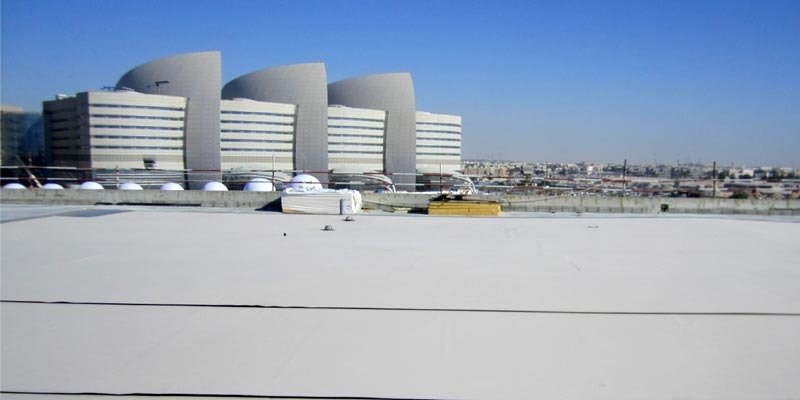 The scope is to design roofing and waterproofing sys- tems and assemblies that are watertight at the roof, as well as the entire building envelope. Whether the project is anew construction or modifications to an existing building, the company is to provide specialty services in the form of de- sign review. As many have come to know, "industry standards" do not always apply to all building designs and flashing details. In many cases, it takes creative solutions to come up with a resolution that is long-term and low-maintenance. Very important to keep updated on new roofing and water- proofing products and installation standards for this busi- ness and to prepare a detailed reference technical library.